The Greek Parliament will vote next week for a twenty-year extension of the ownership agreement of the International Airport of Athens, for the period between 2016 and 2046, according to greekreporter.com. The new contract will include further investments for the airport, up to €2.9 billion, which will come at a later time, as arrivals to the airport are expected to increase even over their present levels. The new contract will commence in 2026 and is expected to end in the year 2046, when the ownership of the airport will return entirely to the Greek state. The current ownership of the airport is divided between the Greek state and private firms, with control of the facility divided between the two at 55-45 percent respectively. The private investors in the airport currently include Greece’s Copelouzos Group and PSP Investments of Canada, after the purchase of shares from the German concern Hochtief. 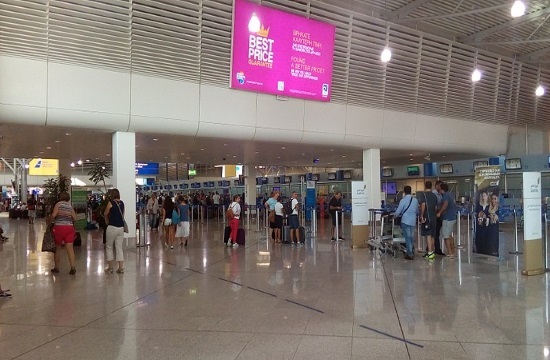 International arrivals to the Athens airport rose grew a total of 16,466,491 passengers in 2007 to 24,135,736 travelers in 2017, adding billions of euros in revenues to its coffers over the last decade. Following the new extension, the Greek state expects to earn a total of more than €6 billion in revenues from taxes, dividends and rents until the year 2046.